The All Progressives Congress (APC) has constituted its National Convention Committee ahead of its elective convention expected to hold before June 2018. A list signed by the National Organising Secretary of the party, Senator Osita Izunaso, on Sunday revealed that the committee is headed by the Jigawa State Governor, Badaru Abubakar. Governor Abubakar would be assisted by his counterpart in Ondo State, Governor Rotimi Akeredolu, while Mr Ben Uwajumogwu was appointed as the committee’s secretary. 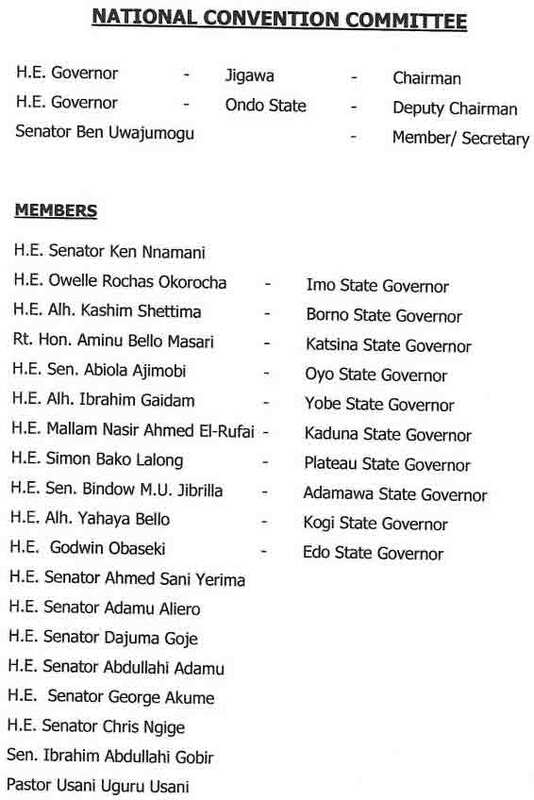 Members of the committee include former Senate President Ken Nnamani as well as governors Rochas Okorocha (Imo), Kashim Shettima (Borno), Aminu Masari (Katsina), Ibrahim Gaidam (Yobe), and Nasir El-Rufai (Kaduna) among others. 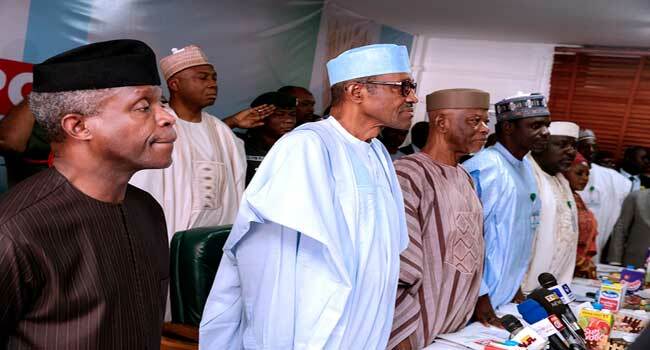 The constitution of the committee followed the rejection of tenure extension for the APC National Chairman, Mr John Oyegun, and other party executives by President Muhammadu Buhari. President Buhari, who declared his intention to seek re-election on Monday last week, had to members of the APC National Executive Committee (NEC) during a meeting that the party may consider granting waivers to the executives.